K.J. Rawson sent me a heads-up about Digital Transgender Archive (DTA). Little did K.J. know that I had already been exploring DTA after receiving news about it via the mojo wire. So I thanked K.J. for the heads-up and said that I would pass along news about DTA here. The purpose of the Digital Transgender Archive (DTA) is to increase the accessibility of transgender history by providing an online hub for digitized historical materials, born-digital materials, and information on archival holdings throughout the world. Based in Worcester, Massachusetts at the College of the Holy Cross, the DTA is an international collaboration among more than twenty colleges, universities, nonprofit organizations, and private collections. By digitally localizing a wide range of trans-related materials, the DTA expands access to trans history for academics and independent researchers alike in order to foster education and dialog concerning trans history. The DTA uses the term transgender to refer to a broad and inclusive range of non-normative gender practices. We treat transgender as a practice rather than an identity category in order to bring together a trans-historical and trans-cultural collection of materials related to trans-ing gender. We collect materials from anywhere in the world with a focus on materials created before the year 2000. My initial exploration of DTA was to find anything related to Fantasia Fair. My search turned up 182 items going as far back as 1974! Since I am very interested in history (and herstory), I will revisiting DTA often. 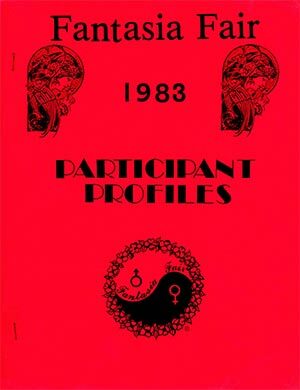 It is a great resource for anyone researching transgender history and will only get better as the archive continues to grow. 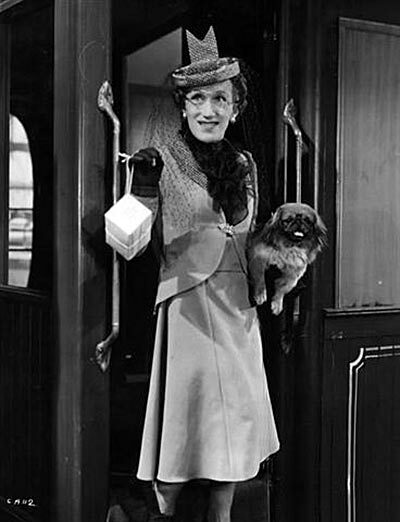 Arthur Askey in the 1940 British film Charley's (Big-Hearted) Aunt. I have been donating all my material to the Central Connecticut State University's library. I donated all the stuff I got from First Event, Fantasia Fair, and CT Outreach Society. I put anything with a photo or names under a 20 year lock. My collection also includes all the notes, meeting minutes and correspondence from my work to pass the gender identity and expression non discrimination law and the Birth Certificate law. It also includes the actual signed Birth Certificate bill and a photograph of the signing. Thanks for the shout out, Stana! Diana: if you are anyone else is interested in contributing materials to the DTA, or getting us in touch with archives where you have donated, feel free to contact us: https://www.digitaltransgenderarchive.net/feedback. While the Jesuits who run Holy Cross do not need kudos from me their contribution to education worldwide is amazing. Keep in mind that Pope Francis is a Jesuit. We seek God in all things. It is wonderful to know that the view of the Jesuits the DTA fits these guidelines.